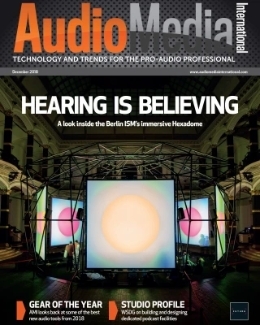 Stephen Bennett investigates how the software for producers, composers and mixing engineers has moved on since its “black-and-white glory” days. A couple of months ago, a colleague called me over to his house as he had something that he’d inherited that he thought I might be interested in seeing. It turned out to be an immaculate Atari 1040ST computer, complete with 1MB RAM, a 720KB floppy drive and a high-resolution SM-124 monochrome monitor. He also had a box of contemporary software so, after a few minutes of dongle connecting, whirring disks and an overwhelming wave of nostalgia, the Arrange page of Steinberg’s Cubase version 1 was onscreen in all its black-and-white glory. 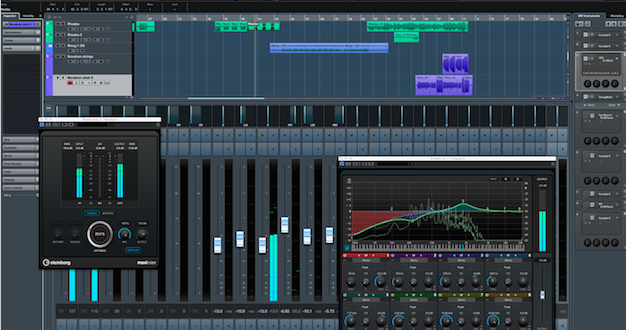 In today’s mature Digital Audio Workstation (DAW) market, where the software capabilities and features of different companies’ products leapfrog each other version by version, it’s hard to recall how revolutionary this first version of Cubase was, with its real-time MIDI recording and editing and that now-ubiquitous Arrange page. We are two years from the 30th anniversary of the launch of Steinberg’s sophomore DAW and, I assume, the company is planning something special in celebration. In the meantime, Steinberg has released the subject of this review, Cubase version 9. If you wonder why we’re only on such a low number after so many years, don’t worry – the numbering system (on Atari, Mac and Windows versions) has been all over the place for decades in a way that Bill Gates would approve of. 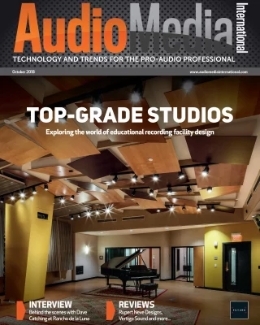 If you are a Cubase novice, you may want to look at the Version 8 review in the February 2015 issue of Audio Media International for an overview of the program before you go any further. 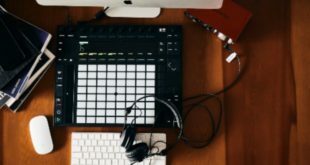 The specific version under scrutiny here is the Pro version – there is also Cubase Artist and Cubase Elements that sport fewer features at a lower cost, so you don’t end up having to pay extra for stuff you’ll never use. Cubase 9 runs on both OSX and Windows-based platforms and uses a serial number and USB e-licenser dongle-based authorisation system, which is easy and quick to use, and makes the software easily portable between machines. Steinberg now supplies a ‘universal’ installer that unlocks the correct version of the software purchased, which should make for a seamless and concurrent upgrade path for all versions of Cubase in future. For some, the headline difference between this and earlier versions of Cubase is that the program no longer supports 32-bit plug-ins. 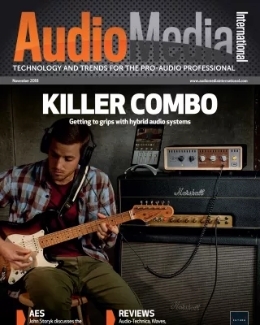 How important this is for you depends on whether your favourite software is available in 64-bit format – most major players now are – but that’s no help if the company that developed your essential VST compressor went out of business two Cubase versions ago. Version 9 now scans all plug-ins to see if they conform fully to VST 2 or 3 standards via the sci-fi-sounding Plug-in Sentinel – although the ones that fail the test can be re-enabled at the user’s own risk. Both these features, Steinberg says, should improve the stability of the program. That main window of Cubase (now called the Project window) is where the changes in version 9 are most apparent. The Transport Zone is now located at the bottom of the screen and there have been differences in the main toolbar at the top as well. Steinberg want you to think of various areas of the program as Zones, so the racks and inspector are now the Right and Left Zones. This change is not purely semantic in nature, as we shall see, but it makes for an initially confusing experience for the seasoned Cubase user – but I’m sure we’ll get used to it in time. All toolbars are toggle-able in visibility as before and the various Zones are resizable. The reason for the Zone nomenclature is the appearance of a new feature – the Lower Zone – which displays, appropriately enough, on the lower part of the screen. The resizable Lower Zone features a series of tabs – all available via key commands – that display various sections of Cubase’s interface. The upshot of this is that most of Cubase’s day-to-day editing functions can now be accessed from a single screen. The MixConsole tab can display a choice of faders, inserts and sends, while the Editor tab can show any of the Cubase editors apart from the List editor. What data is displayed here depends on what is selected in the Project window and you can still get Cubase to open separate editor windows if you prefer. It’s obvious that the introduction of Lower Zones is aimed at those working on laptops, which is probably now the majority of users. The other two Lower Zone editing tabs cover Chord Pads, Cubase’s creative MIDI arrangement tool, and the Sampler Track – a new feature. Dragging audio to a Sampler Track creates a MIDI-controllable sample that is mapped to MIDI note numbers – shades of Logic’s much-missed Touch Tracks here. You can perform basic editing of the audio on the Sampler track and apply the audio warp feature that affects sample speed, pitch and tempo synchronisation. There are also filters and envelope generators – in fact, everything you might find in a sophisticated soft-sampler. If that’s not enough you can, with a click, transfer the sample to HALion, Steinberg’s standalone VST sampler if you have it installed. It’s quick and intuitive to use and makes incorporating sampler-type effects into your music so simple I may start using them myself. It’s going to be a godsend for sound effects people. Most DAWs have sophisticated undo/redo features but not always on the mixer itself, which can be a real pain if you move a fader accidentally or want to just try out some small mix changes. Cubase’s Mixer now has its own undo/history feature – similar but separate to the main Cubase one and most of the parameters that you’d want to undo when mixing are covered including volume, pan and plug-in modifications. Cubase 9 allows you to have multiple Marker tracks, which you may find very useful if you’re swapping between time and beat-based editing or just like to have different markers set up for different tasks. 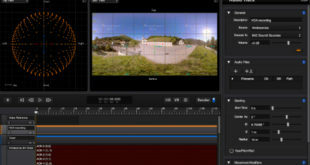 The ‘Link Project and Lower Zone Editor Cursors’ command links the zoom factors and horizontal scroll position of the Lower Zone and the Project window, while VST Connect SE 4 is Steinberg’s collaboration application that allows Cubase users to work with remote partners. Aside from these workflow differences, Cubase 9 has a couple of new plug-ins and some parameter and visual tweaks to old favourites including Autopan, which now gains extra sync modes, shapes and panorama settings. Frequency is a new EQ that can work in stereo, dual mono, or Mid/Side and features eight parametric bands that can be individually set to Linear phase mode. It’s precise in effect and sounds excellent with a useful on-screen keyboard that lines up frequencies displayed as musical notes. Maximizer does what it says on the tin – if you really want to crush the bejeezus out of your mixes this will do it just as well as most of the third-party competition, but it’s also useful for levelling out individual tracks without doing too much damage. There have also been updates to the Score editor, including a rhythmic editor mode for creating condensed lead-sheets and some other minor tweaks and bug fixes.? Cubase has come a long way since the heady days of version 1. Often at the forefront of new DAW technology, with innovations such as native audio processing and Virtual Studio Technology (VST), the latest version is, in many ways, playing catch-up with other competitors – specifically Logic Pro, which has featured plug-in compatibility checking and single window editing for some time. But that’s not to disparage what Steinberg has achieved here. 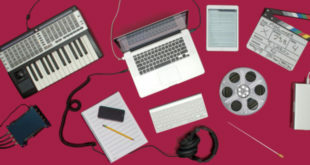 Version 9 contains some major workflow changes and improvements while keeping long-term users’ preferences on board and, unlike Apple’s flagship DAW, you’re not limited to a single, increasingly expensive computer brand and operating system. The black-and-white Cubase-using-me is continuously amazed by the ultra-powerful colour-Cubase-using-me and version 9 does nothing to dispel that feeling. The upgrade is a no-brainer for current Cubase users and a sensible entry choice for newcomers who need a fully featured multi-platform solution. Comprehensive set of over eight instruments with 3,000-plus sounds, including HALion Sonic SE 2 and Groove Agent SE 4.? 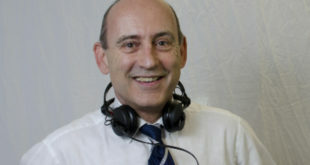 Stephen Bennett has been involved in music production for over 30 years. Based in Norwich he splits his time between writing books and articles on music technology, recording and touring, and lecturing at the University of East Anglia.